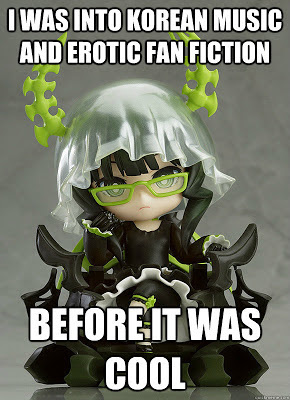 I simply had to make this (attempt) at a meme with the image of the new Nendoroid: Black Rock Shooter - Dead Master TV Animation Ver. figure. Basically this explains my look back on 2012 as an anime fan. I think many of you when looking at the rise of the Gangnam Style song and the popularity of the fanfiction-turned-novel 50 Shades of Gray...you'd had to have thought this. The themes/content behind these popular icons of 2012 is nothing new to us otaku. 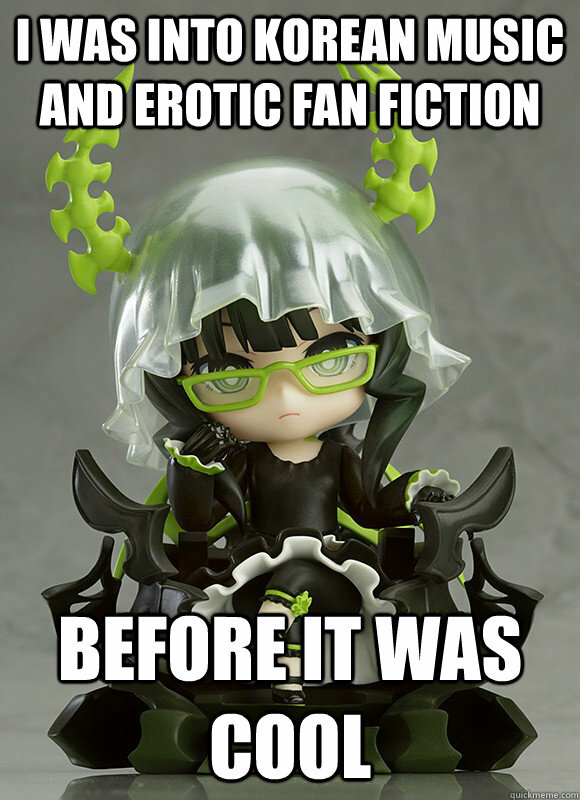 Check out the QuickMeme page for this to make your own Hipster Otaku pic.